There’s so much to do in Manchester these days. 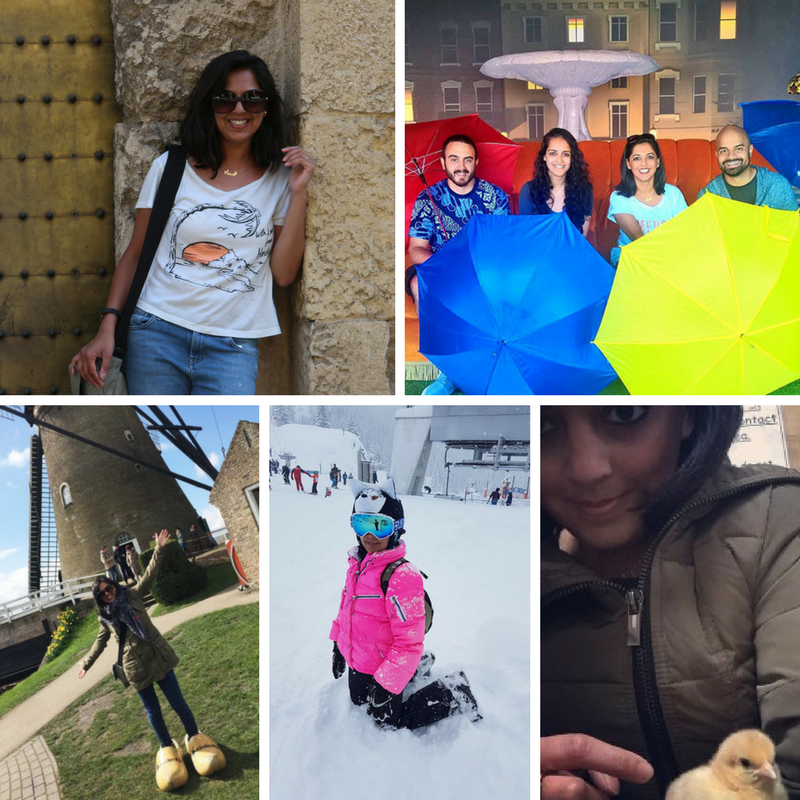 So many different experiences and fun outings for friends and families to enjoy. 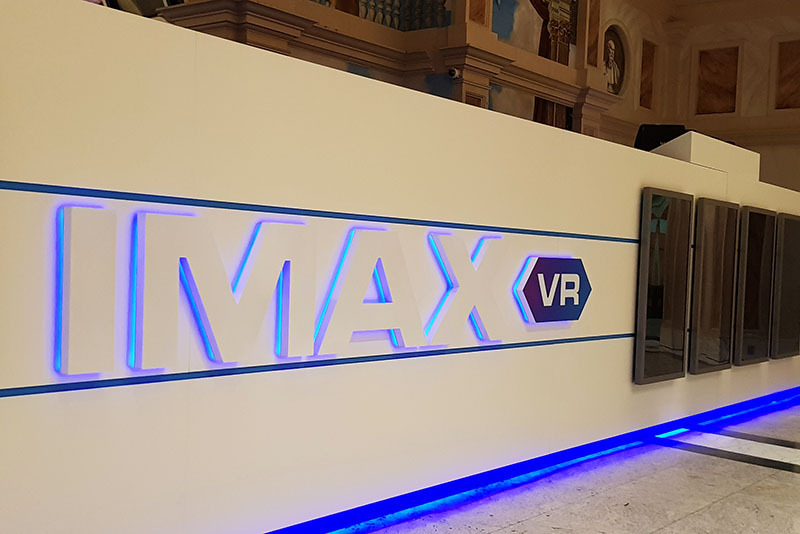 But did you know that Manchester is in fact home to the first IMAX Virtual Reality gaming centre in the whole of Europe. Not just the UK, but Europe!?! Technology in gaming is advancing at a crazy rate, and VR centres are popping up all over the place. My sister and G recently went to a VR cinema when they were in Amsterdam and although it wasn’t as interactive as they expected, they enjoyed the experience. After scoffing a home cooked meal, the four of us ventured over to the Trafford Centre to enjoy an evening exploring another world, another dimension in fact. I talk about and visit the Trafford Centre quite a bit, but that’s because they really do know how to have fun. Shopping is something I am not at all a fan of, but this isn’t just a centre to buy things, it’s a great place to be entertained. 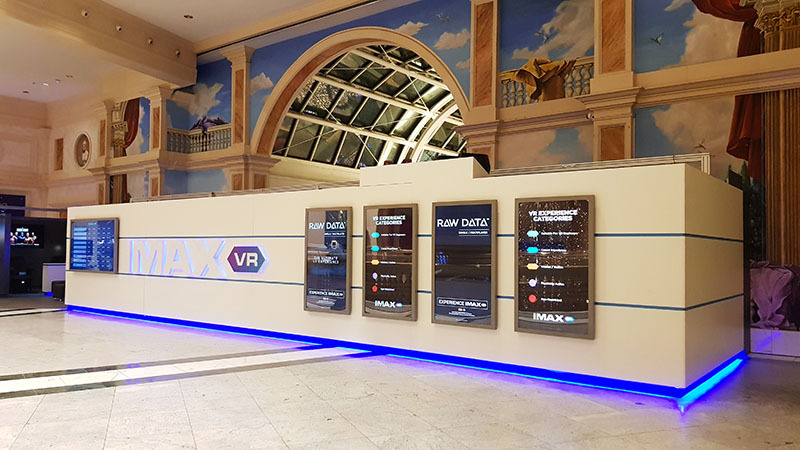 And now, up by the Odeon cinema, sits the brand new IMAX VR. It might not look like much, looks like a pop up in fact, but there is no need for fancy frills when what you’re paying for is not real. Think of this as a cross between a cinema and an arcade, where you are well and truly in the driving seat. There are currently 8 VR games on offer, across 10 pods. We didn’t try them all, but between us we tried enough to get a feel for the different scenarios. Adam walked us through and explained the game concepts and how they worked, the whole team there are great at gauging which games suit what you’re after. Some experiences are seated, some are standing and fully immersive. After our grand tour and a quick watch of the safety video, it was time to get stuck in. Bit unsure myself, I decided the boys could be the first guinea pigs and we sent them on a space flight. I knew VR would be an experience we would all enjoy, but I did not anticipate how enjoyable watching someone play VR would be. My sis and I were in hysterics as we watched the boys shoot off into space and explore the zero gravity world around them. It was laughs throughout actually, as even if one person is immersing themselves in a game, there are screens where you as a bystander can follow what they’re doing, while watching them act crazy in the real world. There were so many hilarious moments, I feel I need to apologise for the lack of decent imagery. I was swept up in wanting to go virtual I kind of ignored everything else. Luckily I recorded some video footage whilst we played, I look forward to sharing that later. This is pretty much what it says on the tin. No real gaming involved here, this one is purely a VR experience, a great place to start if this is all new to you. Sit down, strap in and enjoy the trip away from Earth. You’ll love the view! Ever wanted to experience life as a superhero? well now you can. I took it upon myself to test out this mammoth responsibility. I started out as Wonder Woman, took me a few minutes to adjust but once I got my bearings those parademons didn’t stand a chance. I also tried to be Flash, but that didn’t go so well. You want a tip? Don’t skip the tutorial, it could be the difference between running like Flash or continually crashing into lorries and trains. There you are far away in the galaxy. You are tasked with repairing Poe Damerons’s BB8 and his droid friends. Do I need to say more? Ok if I told you spending time with BB8 and his pals was enough I was wrong. Because when you suit up and head over to Tatooine you get more. You get to feel the FORCE. Ok not the force, but it’s pretty close. Here you can fire up a light sabre and use it to defend yourself against storm troopers. Once again, do I need to say more?!? Want to shoot and experience life as a transformer? Well then this is a game to try. Four of you can play at once, you’re not all playing together but you can actually see each other within the game, it’s quite bizarre. This is a game that involves tactics, there’s a fair bit of shooting and some serious explosions. Amongst the group, it was one of the favourites. We ended with this game and what a game to end with! So the best thing about Eagle flight is all four of us could play together. Teams of two, against each other. It is pretty epic. I must admit I was pretty rubbish at it, I thought the game was like quidditch, but it’s actually probably more like capture the flag. You embody the form of an eagle soaring over the streets of Paris protecting your territory. I’ve mentioned many a time that I have an issue with flights, so this experience was absolutely liberating. 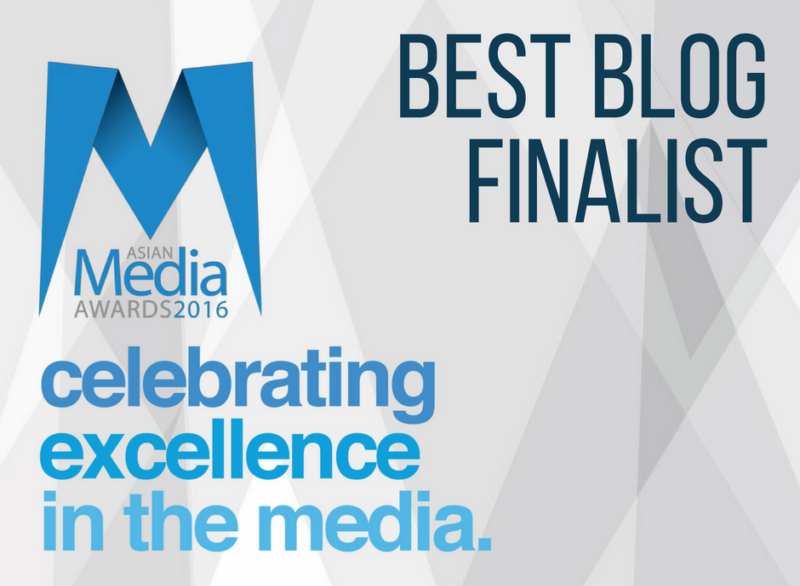 It was bizarre being able to face my fears, knowing I still had my feet firmly on the ground. We all thrived on this game, being able to see and compete against each other really took this whole VR evening to another level. 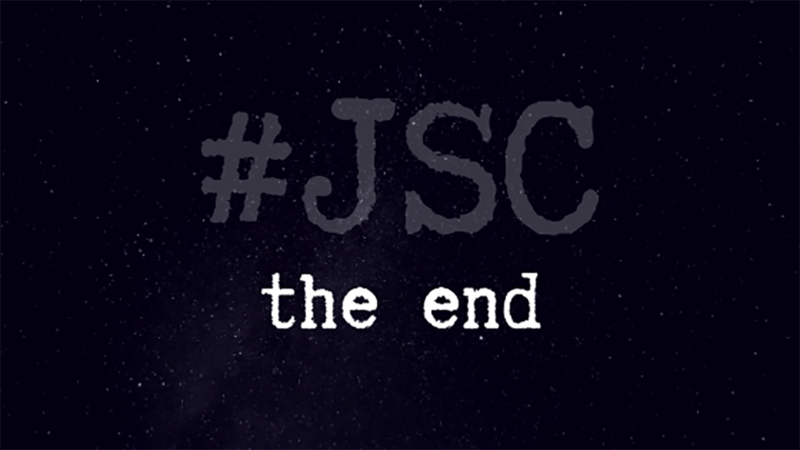 We soared, we dived, we crashed… the flying was so realistic I actually left that evening with a bit of motion sickness. I need to point out – it was totally worth it. So, the question is, is it worth it? When I first looked at the pricing, pretty much paying a pound a minute for some games, I thought it seemed a bit steep. After experiencing it though, I wouldn’t think twice. VR is becoming ever more popular these days, Samsung offer out headsets with their phones, consoles offer home kits and companies even use them as selling tools. But the quality varies substantially. 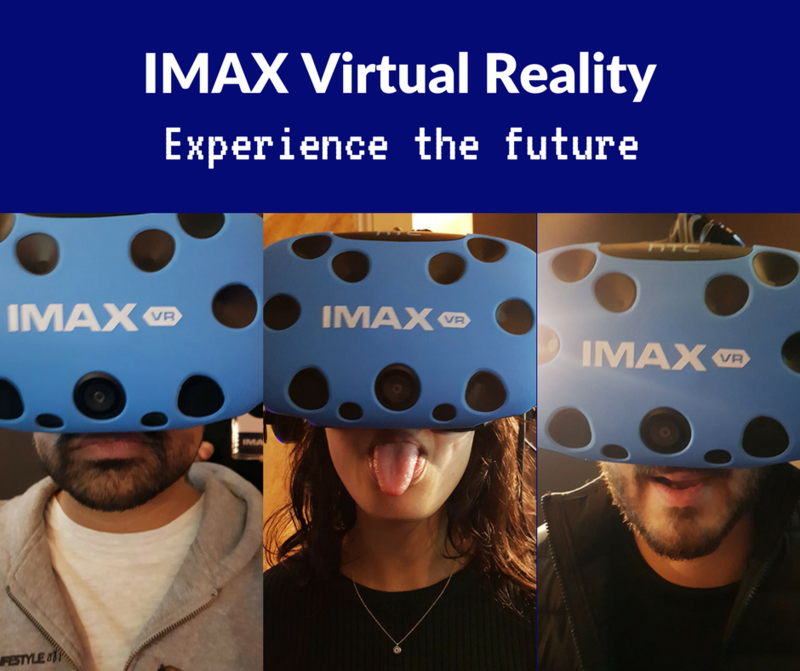 There’s the kind of VR where you are stationery in a moment exploring a set, following a pattern or there are adventures like this IMAX VR where you are completely immersed within a fantasy. Seven minutes does not sound like a long time at all, but the seven minutes of game time once I had embodied Wonder Woman, felt long enough for me to actually feel exhausted from a full combat experience. As Adam helped me kit up ready for the game the image of myself looking strange connected to a bunch of wires immediately vanished the moment I put on the head gear and a new world appeared around me. ALL around me. My brain actually adjusted to being in that game, and no matter how hard I tried I couldn’t envisage what I might look like from the outside. There’s so much talk these days about not getting out enough, not enjoying the fresh air, kids being stuck inside glued to screens all day… hey I’m one hundred percent one of those people who don’t like to encourage too much screen time. But that doesn’t mean I’m totally against it, and that we still can’t enjoy entertainment such as this. In fact, after a robot inspired day at MOSI I remember reading an article by Marc Palaus, a neuroscientist at Spains Universitat Oberta de Catalunya, where he had investigated whether games changed the brain. Some of their research proved that video games actually contributed to the correct functioning of our brain and in some cases can even improve it. So maybe it’s time we all get rid of our prejudices on video games and gamers and accept them for what they are: a truly great source of entertainment.